As I said when I began this folly, what frustrates me most about The X Files as a TV series is that the writers never seemed to accept that they were terrible at writing long-term story-arcs for it (or at least, resolving long-term story arcs), and kept starting new ones up, only to casually toss them aside when they ran out of steam. In my mind, the show would have worked better as a “monster-of-the-week” procedural, with a little light serialisation… like Castle, but with spookier crooks. That way they could have experimented with the form and tone all they wanted, or even swapped out agents when they had to, without worrying about all the baggage that comes with trying to weave a wider, world-shaking mythology. It was always so jarring to see characters faced with an imminent alien invasion one week, and then just going about their daily business the next, without even a passing reference to the spaceship-shaped-Sword-of-Damocles hanging over their heads. Which happened all over again in the second spin-off movie, I Want to Believe (2008). The last time we saw Mulder and Scully, they were running for their lives, pursued by semi-indestructible Super Soldier assassins in league with a “shadow government” who were intent on putting these pesky agents six feet under, even if it meant sending helicopter gunships to get the job done! But when we catch up with them five years later, Scully is working as a doctor in a big Churchy hospital, while Mulder sits in the study of the home they share, growing a beard and scrapbooking. Wuh? There’s some lip-service paid to the idea that the Big Baddies were happy enough with Mulder’s self-imposed seclusion to let him live, but come on! Seriously!? Scully’s putting herself through the emotional ringer trying to figure out how to treat a single, solitary sick child, and isn’t putting any effort into preventing (or at least delaying) an apocalyptic event that will result in the TOTAL EXTINCTION OF ALL HUMAN LIFE ON EARTH??? GAH!!! Get your priorities right, woman! And Mulder’s no better, moping around clipping newspapers, as the clock keeps ticking down to doomsday. Idiot! There’s really no good reason for their apparent amnesia (or apathy? )… the writers just wanted to tell an isolated “MoW” story (or rather, they wanted to retell the “unreliable psychic” story they’d already told at least twice before), and didn’t care if it came off as a total non-sequitur after the series finale. As far as I can tell from the “making of” featurette, they actually put far more time and thought into how to spread disinformation and keep the plot a secret (while hampering their own production to a ridiculous degree), than they did into how the story would actually play once it was revealed! While I do appreciate the fact that it’s Mulder who winds up as the “damsel-in-distress” this time around, and Scully who comes charging to the rescue… that smackdown comes a little too late in the day to save her character in my eyes. * Aside from dragging Gillian Anderson down with a tedious subplot in which she needlessly tortures a dying child against the wishes of his parents and all of her colleagues, she’s also depicted as a capricious misery-guts… she nags Mulder into helping the FBI to track down a missing agent, but then when he starts making progress on the case she tries to nag him out of it again! Tch! She also seems weirdly intimidated by the paedophiles they encounter throughout the first half of the movie… I mean, she’s a former law-enforcement agent, and an adult woman to boot, so what does she have to fear from a saggy old priest who used to abuse altar boys? She’s faced down plenty scarier foes than him over the years, surely! Sigh… as for the rest of the female cast, Xantha Radley (who previously played a ‘Waitress’ in ep #5.5, “The Post-Modern Prometheus”) appeared as ‘Special Agent Monica Bannan’, a largely line-less character who gets kidnapped in the opening scene. Amanda Peet (of Bent fame) appeared as ‘Dakota Whitney’, the Special Agent charged with finding Bannan… who seems quite open to Mulder’s theories, but sadly doesn’t live long enough to set about reopening the X-Files. 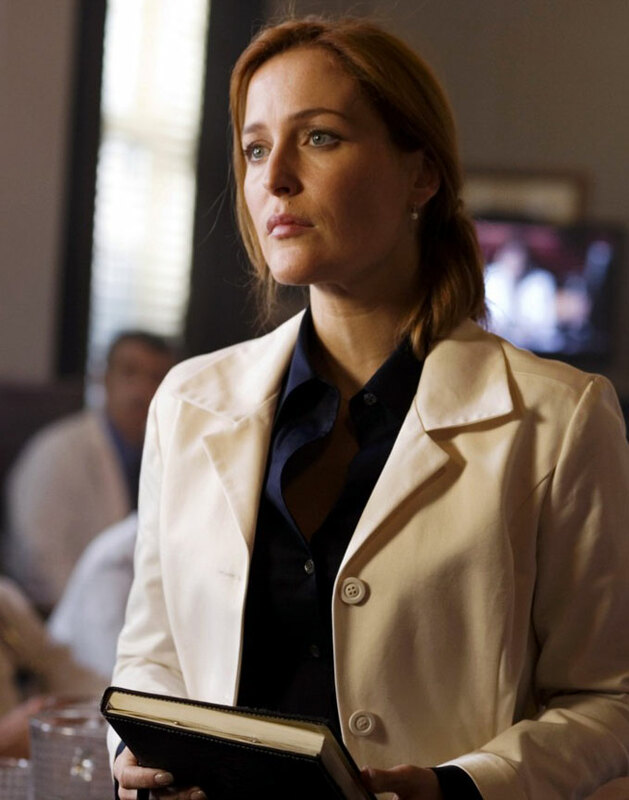 Sarah-Jane Redmond completed her X-Files hat-trick by appearing as their immediate superior, ‘Special Agent in Charge Inga Fossa’ (a nod to Redmond’s character in Harsh Realm). Nicki Aycox (previously seen as a highschool girl with super-speed powers in ep #7.5, “Rush”) appeared as ‘Cheryl Cunningham’, the second unwitting victim, who gets rather a rough ride of it… and you have to give Aycox snaps for her commitment, considering how physically punishing all of her scenes were. 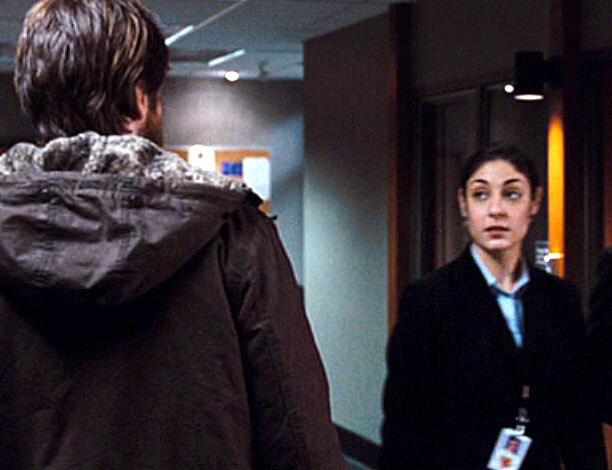 And finally, Vanessa Morley, had a little in-joke cameo, as a random FBI agent passing Mulder in a hallway. Again, I thought it was kind of annoying how Scully continued to accuse Mulder of chasing his dead sister ‘Samantha’, as if the events of ep #7.11 (“Closure”) never happened. Does no one on this show know what the word “closure” means? She’s starlight now, let her go, dammit! As for the actual case, well… I have a knee-jerk antipathy towards any movie that casts Russian homosexuals as the villains. Haven’t they suffered enough, guys? Now you want to throw organ-jacking in with all the other propaganda? Feh! * I’m still not clear on why the rest of the FBI agents just gave up on the case, leaving Mulder as the “last man standing”… I mean, I understand he’s the star of the movie, but there didn’t seem to be any logical in-story reason for it. Unless the entire Bureau was so attached to Peet’s character everyone had to take a coupla weeks off en masse, to recover from her death? This entry was posted in Rants about Films and tagged Amanda Peet, Dana Scully, Gillian Anderson, I Want to Believe, Nicki Aycox, Sarah Jane Redmond, The X-Files, Vanessa Morley. Bookmark the permalink. 1 Response to The FBI’s Most Unwanted 9.5: What’s Up, Doc?